When 56 per cent of residents of Calgary who took part in a plebiscite voted against their city bidding for the 2026 Olympic Games, some may have been surprised by their skepticism. 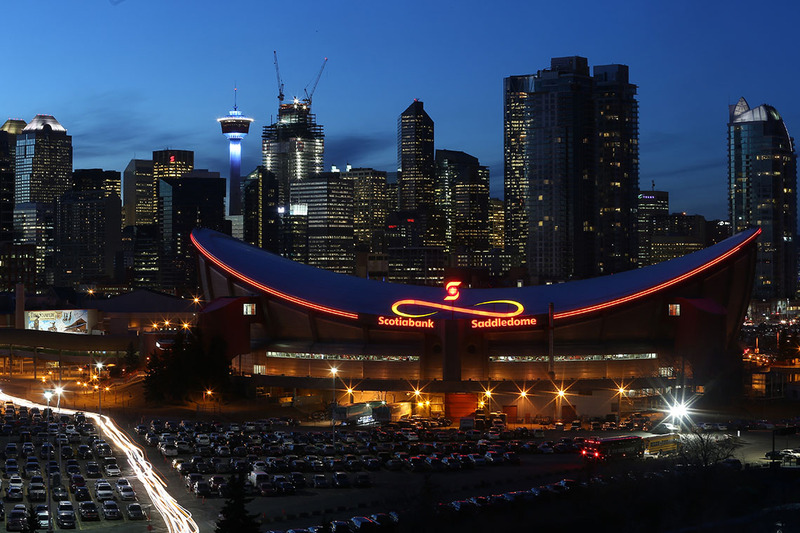 Calgary is the fourth city to withdraw from bidding this year, joining a downward trend that has seen bids go from 11 cities for the 2004 Summer Games to just two for the 2024 Games. Bruce Kidd, a professor at the Faculty of Kinesiology & Physical Education and former Olympian, spoke to Jelena Damjanovic about why cities are snubbing the Olympics and what it means for the future of the Games. Why are cities turning their backs on the Olympic Games? The primary, understandable reason is the fear of tremendous costs, with increasing tax burdens and few benefits to show for it. The fact that most recent Games have soared over budget hasn’t helped. In Pyeongchang, which staged the 2018 Winter Olympics, the Games are estimated to have cost US$13 billion, despite an initial budget of $1.5 billion for staging the Games and $2-6 billion for infrastructure. The Sochi Winter Olympics cost $50 billion. In Calgary’s case, the fears were heightened by the dramatic fall in the price of oil and the desperate state of the Alberta economy. The details of the promised senior government funding were not made public until just two weeks before the referendum, so the organizers had little time to develop a persuasive campaign. Is the future of the Olympics Games under threat? Until the IOC [International Olympic Committee] lowers the costs, ensures that there are genuine benefits to the cities and regions that stage them and restores the idealistic purpose of the Games, fewer cities will bid for them. The IOC’s ‘New Norm’ – a set of 118 reforms that was approved last February – attempts to do that by reimagining how the Games will be delivered, reducing venue size, employing more existing facilities and rethinking transportation, all to lower costs. It would have been in effect for Calgary. The big question is how thoroughly these ideas will be implemented. I know that some of the IOC leadership is strongly committed, but at the same time, the institution has always been able to bail itself out and find another host city and some people have really benefited from the old model so I’m not sure how much adrenalin there is for real change. How reasonable are the concerns over the economic benefits of hosting the Games? Very reasonable. Given the current broadcasting fees and sponsorships, the staging of the Games will always make money. It’s the infrastructural investments that determine whether Games have lasting benefit. If the Games accelerate long-needed and planned investments, and for cities, bring in outside senior government, corporate and international monies, then bidding makes sense. In Vancouver, for example, the 2010 Winter Olympic and Paralympic Games brought a new urban rail line, a much improved highway and needed recreational facilities. In the GTA a decade ago, we woefully lacked facilities for sport and recreation, so that we were known as the ‘sick’ region in Canada. The 2015 Toronto Pan and Parapan American Games made a huge dent on that problem and thousands of people benefit every day from that investment. Bidding for those Games made sense. But not every bid does. Do you think it likely that Olympic bids could ever dry up completely – and then what? I’m sure someone in Lausanne wakes up every night worrying about that. It’s instructive that the IOC is prepared to put more and more of its own money into host cities. I think for the foreseeable future, there will always be an interest in multi-sport, international and intercultural festivals along the line of the Olympics, but the trick will be to make them beneficial to the city and regions that host them – and affordable. I hope that the ‘New Norm’ will stimulate much more creative thinking about how to achieve that. Should the competitions be reorganized among a spring and fall as well as a summer and winter Games to reduce the size of each Games? Should each host city stage at least two Games over a fairly short period so that the costs can spread out over a longer period? Should there be a worldwide rotation of permanent sites? There are a lot of good ideas out there. Let’s hope the negative decisions in cities like Calgary spur more rethinking.